Does the idea of managing expenses for your employees seem overwhelming with managing details, going through piles of papers and analyzing facts and figures to find out which ones to process? Well, workflow tools like Comindware Tracker come handy for expense management. Organizations often need to manage expenses for their employees but the process is both tedious as well as time-consuming. Often the process results in piles of receipts, claims, and requests, which seem impossible to resolve. Often times the process and procedures don’t comply with HMRC scrutiny. And the challenges are just endless. The process often starts with an employee initiating a request to process, pay back or audit an expense. The incurring costs may include expenses made for travel or entertainment. Every organization lays down certain policies and procedures to govern the claims for such expenses. The data associated with the expense details need to be properly analyzed and processes before any claims are reimbursed. Expense management process generally involves two aspects. One is the process followed by an employee to claim an expense and the other are the activities taken up by the accounts or finance staff to process the claim made by the employee. Typically, a manual procedure is followed wherein an employee completes a request on paper, spreadsheet, or an expense report based on Graphical User Interface. The report is forwarded along with any relevant tax invoices or receipts to the manager or the controller in charge for approval. Once the claim is approved by the manager, it is forwarded to the accounts department where it is processed for reimbursement, if applicable. The accounts staff checks each expense item against the finance system of the company prior to filing the claim and generating receipts. This whole manual process of expense management not just involves a chain of employees as a workforce but also takes a lot of time for getting processed. Expense management solutions such as Comindware Tracker help the employees or claimants, managers or approvers, as well as the finance team by simplifying the procedures at every step. 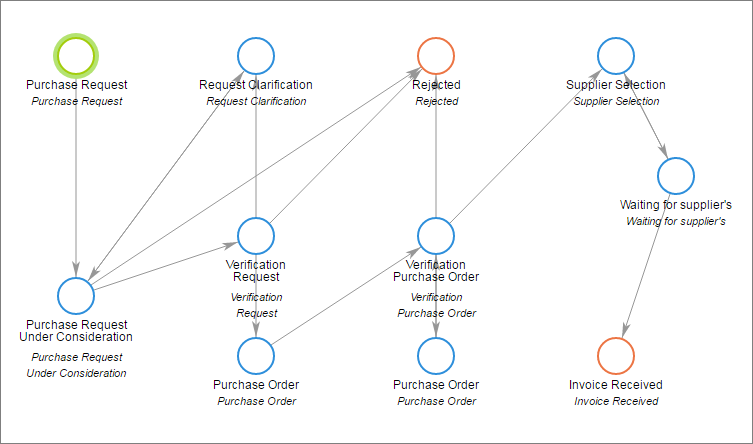 See an example of purchase request workflow on the picture below and get your trial to roll out the similar one in your company without fuss. The process of managing the claims for expenses, their authorization, audit, and process of repayment can be greatly simplified with the help of an automated expense management system. These automated systems and software solutions not just save time and cut down overall costs involved in the process but also ensure back-compliance with the currents procedures and workflows of an organization. Employees travelling for official trips likely encounter expenses that need to be reimbursed. Corporate expense management solutions help these employees in submitting their claims easily to initiate the process for disbursement immediately. The employees only need to click a picture of the receipt in the move to automatically populate the line item on their expense claim. Any card charges are also automatically recorded without the need for typing in the details. Any mileage claims are also calculated automatically using clever locating technology. Before processing the claim, the system shows flags to report exceptions. Finally, the expenses are automatically concurred on the basis of predefined workflows thereby streamlining the process of expense management. Automated expense tracker systems give approvers the freedom of reviewing the expenses any time either from office or in transit. 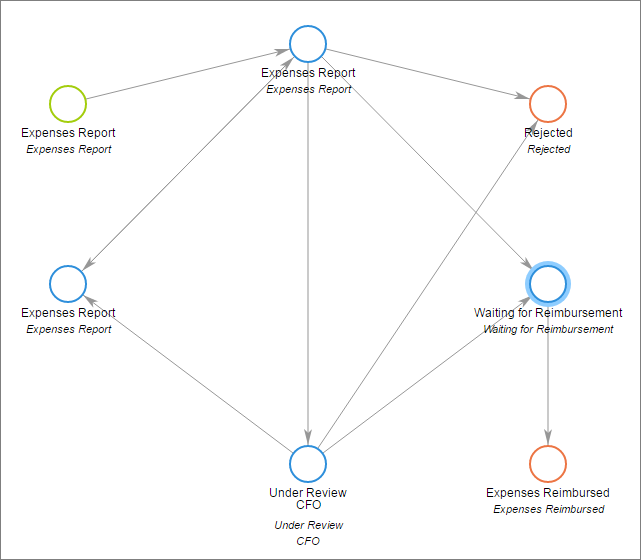 The expense report generated by the system gives an insight about how, where, and why an expense has been made by an employee. The approvers can figure out which expenses come under the policy and are eligible for a reimbursement. This also ensures that the expenses being approved are compliant. Financial management solution based on Comindware Tracker add visibility at every layer of processing and management of expenses. 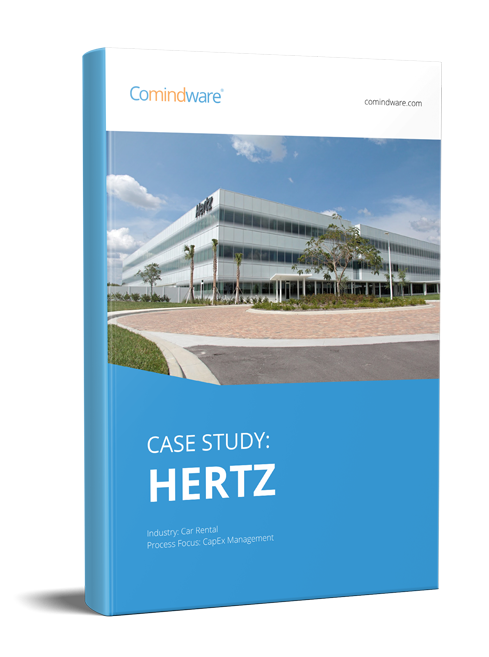 With automatically generated budget and spend reports Comindware Tracker greatly simplifies the overall process of managing and analyzing expenses. To add to that, Comindware Tracker is scalable, flexible, and easily to implement. It doesn’t require much time for installation and start up. So, get your expense management simplified with a 30-days trial subscription of Comindware Tracker.